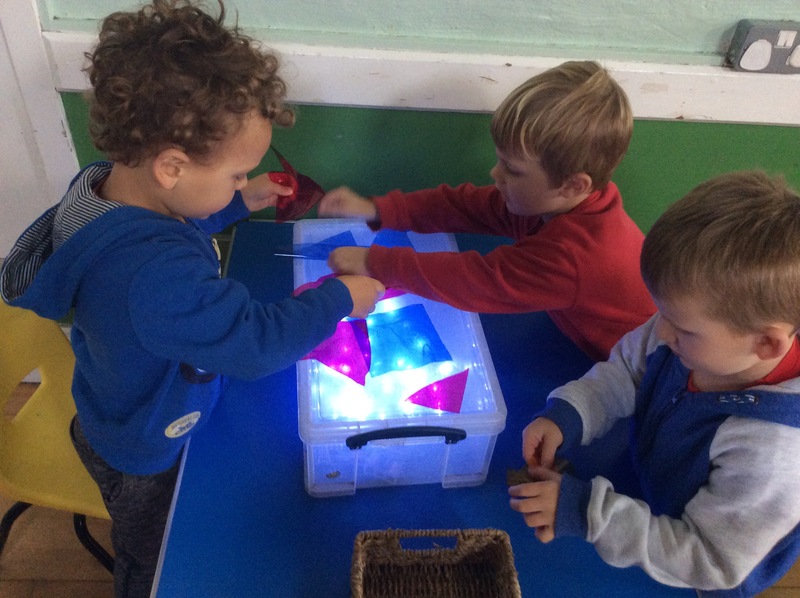 Today we continued our theme this week and made a light box. This is something fun and easy that can be done at home too. 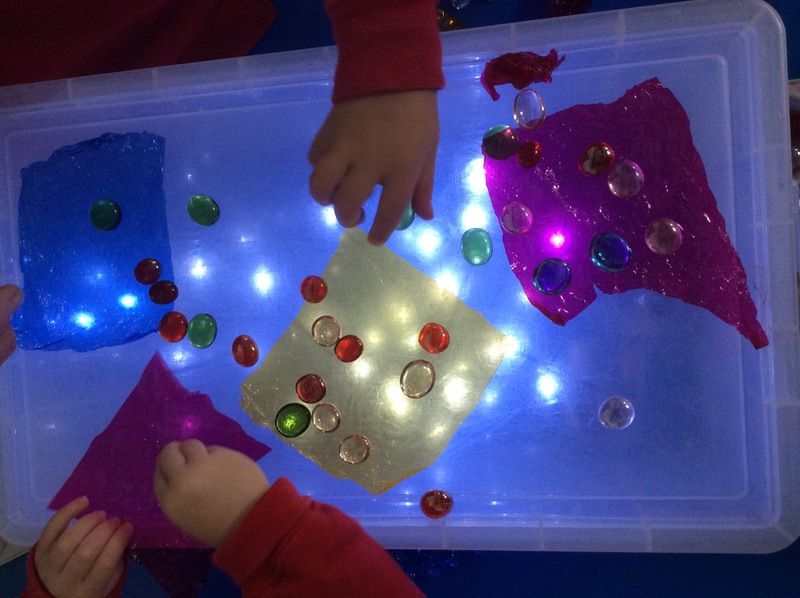 We used a small clear plastic storage box with some battery operated fairy lights. The children were really excited by it and all wanted to come and have a look. 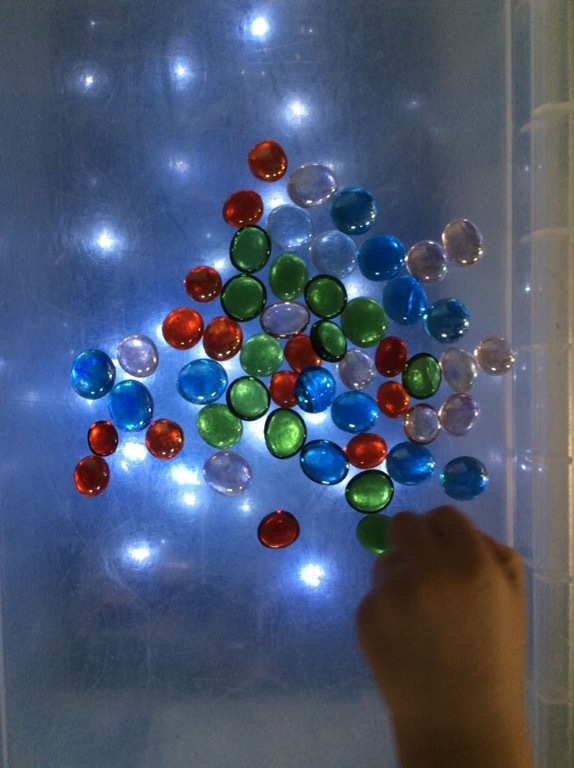 We used coloured glass beads and coloured cellophane to make patterns. We extended play by racing to see who could pick up a chosen colour of beads the fastest. 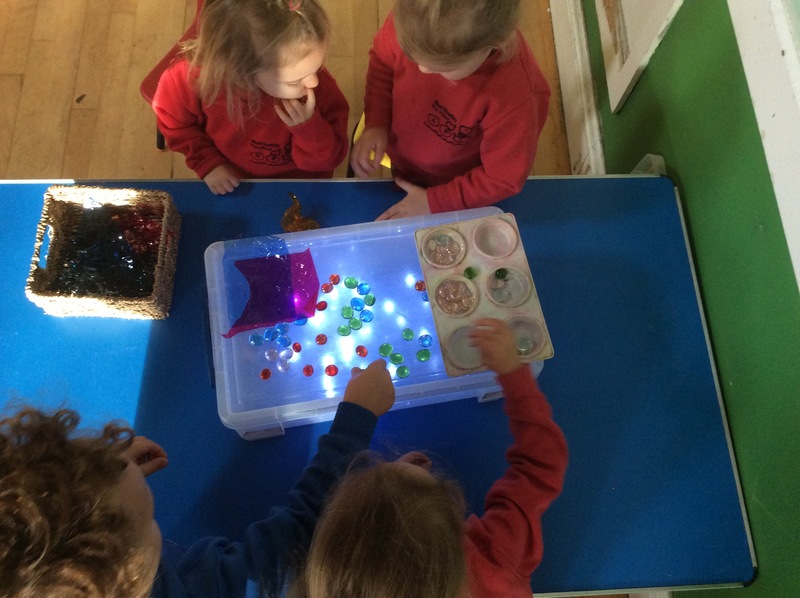 It was a fantastic way for the children to explore, investigate and be creative. 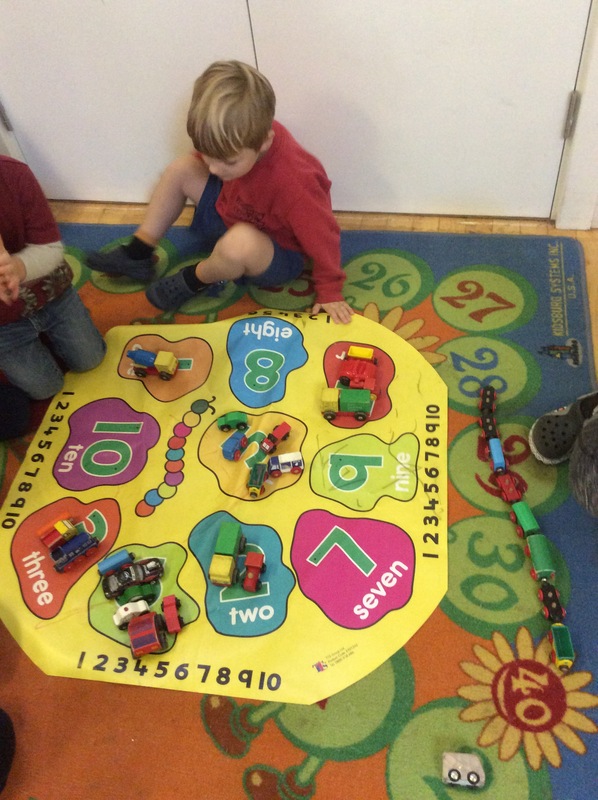 We also had the cars and trains out parking them on specific number to help the children with their number recognition. 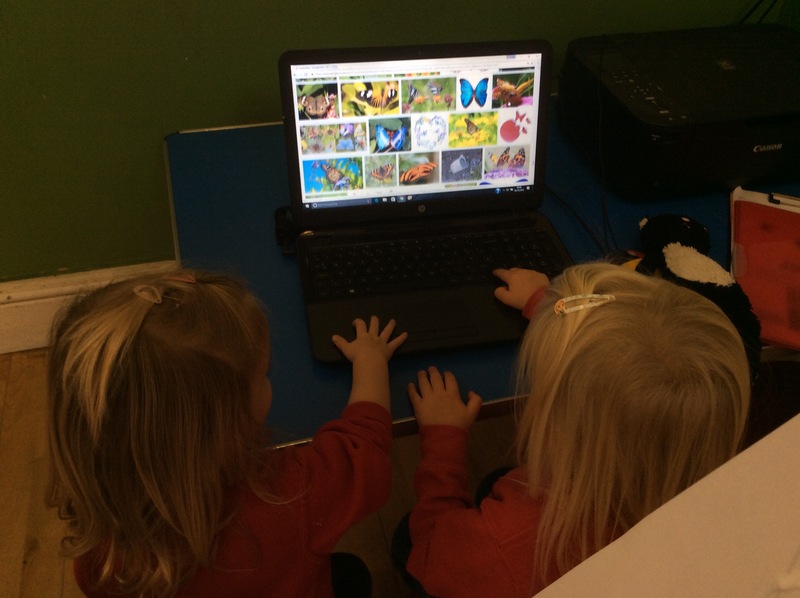 Two of the girls wanted to look at different types of butterflies, so we guided them in using the computer to find lots of images. 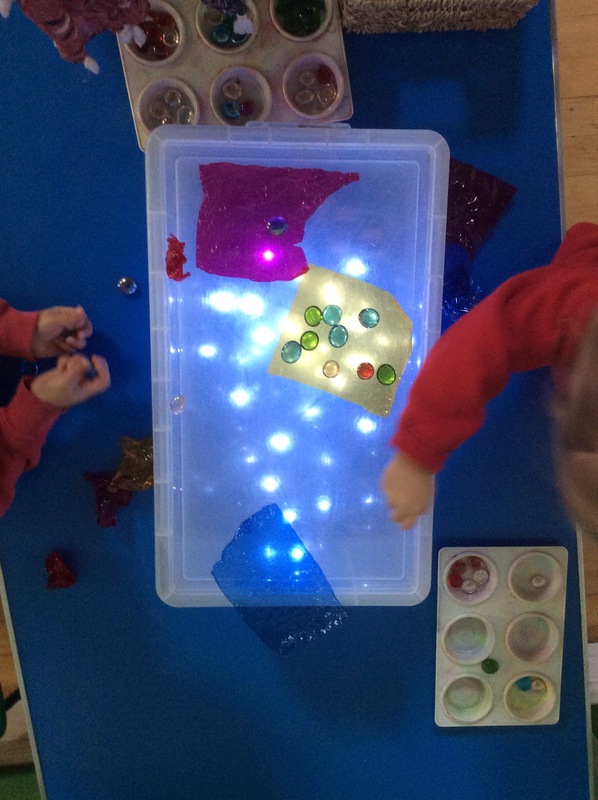 This helps to develop the children’s understanding of technology the use of the apparatus, how it works and what it can be used for in a safe way. During Circle Time this week we have been singing and taking part in the actions from the Jolly Phonic CD letters S to C/K. We hope you all have a great half term break.